Located within Vale Laser Clinic, Tathan Beautique provides a wide range of beauty therapy treatments using the best products available to give you the results and enhance your natural features. The popular nail system that performs like a gel but applies like a polish. 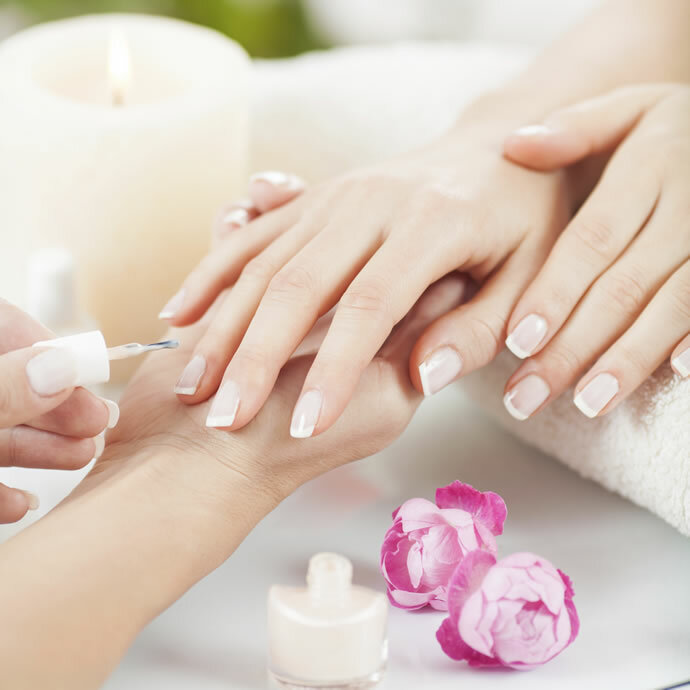 Cured under a LED patented Gelish lamp, this manicure can last up to 3 weeks, includes file and cuticle care. To protect the nail bed, we recommend professions removal of Gelish polish. Using Gelish remover and foil wraps, incudes file and cuticle care. Removal is free if new gel polish is being applied. Nails shaped, cuticle care, OPI avojuice lotion applied to hands and nails and varnish. Nails soak, file and shape, cuticle care, hand exfoliation, mask with hot mitts, hand and arm massage to finish. File and OPI polish for your little lady under 12 years old. Extending your natural nail to give you long strong nails instantly. Nail tips are applied to your preferred length then shaped and built up using your chosen application. Applied to your natural nail to give you stronger nails. Bring your enhancements back to their original glory with infill’s every 2/3 weeks. Add colour to personalise your enhancements. Remove your enhancements safely to protect the nail bed. Includes file and cuticle care. Nails shaped, cuticle care, OPI avojuice lotion applied and varnish. Nails clipped and shaped, foot soak, cuticle care, hard skin removal, foot exfoliation, massage and mask. Using the Clean and Easy patented roller to effectively apply wax to larger area, allowing for even distribution and the best results for you. Hot wax allows for precision waxing in more intimate areas and the face. Virtually pain free, it adheres to the hair and not the skin, removing the most coarse hair from the most sensitive areas. Award winning lash extensions from Lashbase, semi-permanent eyelash extensions last around 3 to 4 weeks and can be maintained for longer, continual wear. Giving you longer, thicker and very natural looking eyelashes. Using synthetic mink which are virtually weightless in different lengths and thickness, our specially trained therapist can create your desired look. We also use hypoallergenic premium eye pads during the procedure as it hydrates and soothes the skin under your eye reducing the appearance of wrinkles – its like a treatment within a treatment. Ideal for special occasions, holidays, these lashes last 2/3 weeks. This treatment straightens your natural eyelashes at the root so unlike a traditional lash perm, it creates the effect for longer. Results are immediate and last 6 – 8 weeks. With the added tint we create longer, thicker looking lashes which are always dressed ready to go. Our trained beautician uses sterile, state of the art equipment to ensure a smooth and quick piercing. Earrings and aftercare solution is included. Part of the Hindu health care practice of Ayurveda, Indian head massage . focusing on acupressure points on your head, neck and shoulders, thus creating a feeling of balance in the body and mind. Relax and unwind with this deep tissue, firm, all over body massage. Helps to ease muscles and de-stress the mind. Small stones are placed on key energy points on the body, evoking an aura of tranquility, whilst the deep penetrating heat from the stones is used to massage the body encouraging heeling, release muscle tension and reduce stress. Your therapist will help you choose the best oil to suit your mood and body. Then this intensive, full body massage, together with a wonderful face and scalp deep pressure massage, will leave you completely tension free. Using Environ salon products, we double cleanse, exfoliate and hydrate to leave your skin, clean, fresh and radiant. Preparing your skin with Environ Salon products, we cleanse and hydrate the skin. Using Jane Iredale Mineral Makeup we colour match you for the perfect foundation and colour pallette to match your skin tone. Reduce sunspots, red veins and uneven skin tone, whilst tightening and brightening your skin with an Environ IPL facial at Vale Laser Clinic. Moroccan Oil infused tan with a 2 hour wash off time which moisturises your skin for up to 7 days.